New Delhi, 10th January 2017: Red FM today announced the revised dates for its new IP ‘Riders Music Festival’ which was postponed due to demonetization. Earlier scheduled for 3rd and 4th December 2016, the festival will now take place on 18th and 19th February 2017 at Jawahar Lal Nehru Stadium Grounds, Delhi. 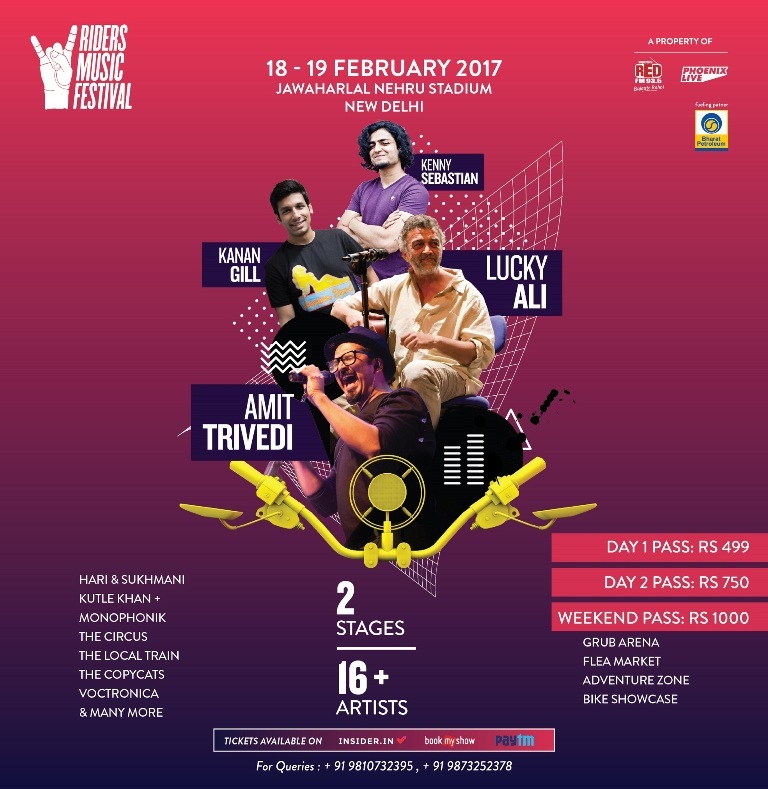 The festival will enthrall audiences with live performances by some of India’s most iconic and popular artists such as Amit Trivedi, Lucky Ali, Kenny Sebastian, Kanan Gill, Hari & Sukhmani, Kutle Khan, Voctronica, Local Train and many more to keep Delhiites excited all throughout the weekend. The weekend pass is priced at INR 1000, while the Saturday and Sunday Passes are priced at INR 499 and INR 750 respectively. The tickets are live on Insider.In, Bookmyshow, PAYTM, Cleartrip and JustDial. Riders Music Festival promises to be one helluva ride with scrumptious grub station and bar to excite palates. Leisure activities including bike wash, paint job, tattoo, graffiti, arm wrestling, paintball, gaming zone, flea market and many more attractions promise to make the festival a worthwhile experience.